Good evening everyone! I hope you are all having a lovely Monday! Can you believe we have less than two weeks until Christmas? Holy crap, I need to get on the ball!!! I have bought only one gift, though it is a pretty awesome gift, and really don’t even know where to start with my shopping. To take my mind off of the dreaded last minute Christmas shopping, I have a gorgeous lacquer from Firecracker Lacquer. 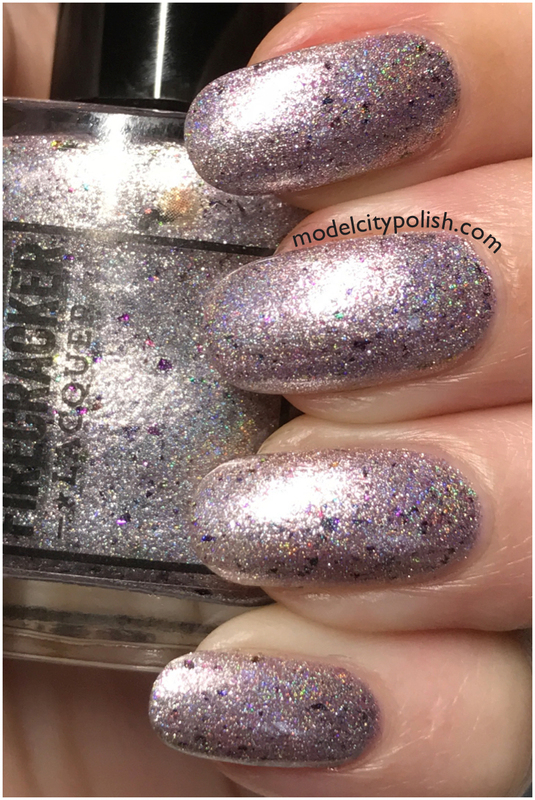 I Plead The Fifth is a gorgoeus pale silvery pink holographic lacquer with purple flecks. This lacquer was simply stunning and applied beautifully, which seems to be the norm for Firecracker. The flakes laid perfectly and were no issues at all. In my photos I am wearing two coats of I Plead The Fifth and one coat of clear. So what do you guys think of I Plead The Fifth by Firecracker Lacquer? Isn’t it just gorgeous?!?! 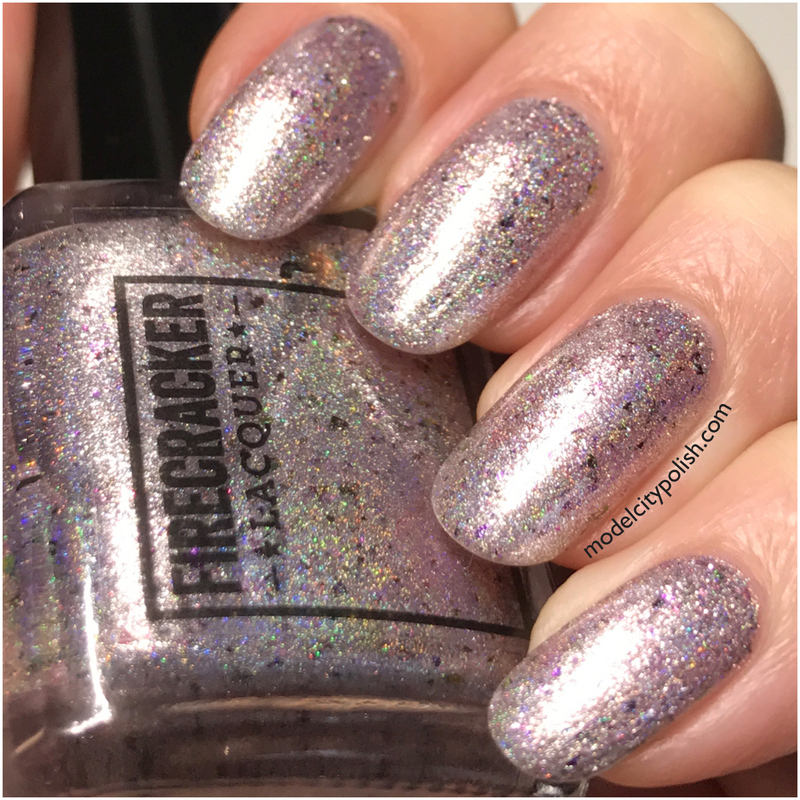 Not only does Firecracker Lacquer have tons of stunning lacquers, they also stock nail art accessories, tools and a gorgeous holo flask…which speaking of Christmas, if any family is reading this…hint, hint! Be sure to give Firecracker Lacquer a follow on Facebook and Instagram for up to date info. Thank you so much for stopping by tonight and I will see you all again tomorrow. I love the glitter! Perfect for the holidays! I love the flakies in it – adds some fun depth and dimension! I surprisingly like metallic holos. 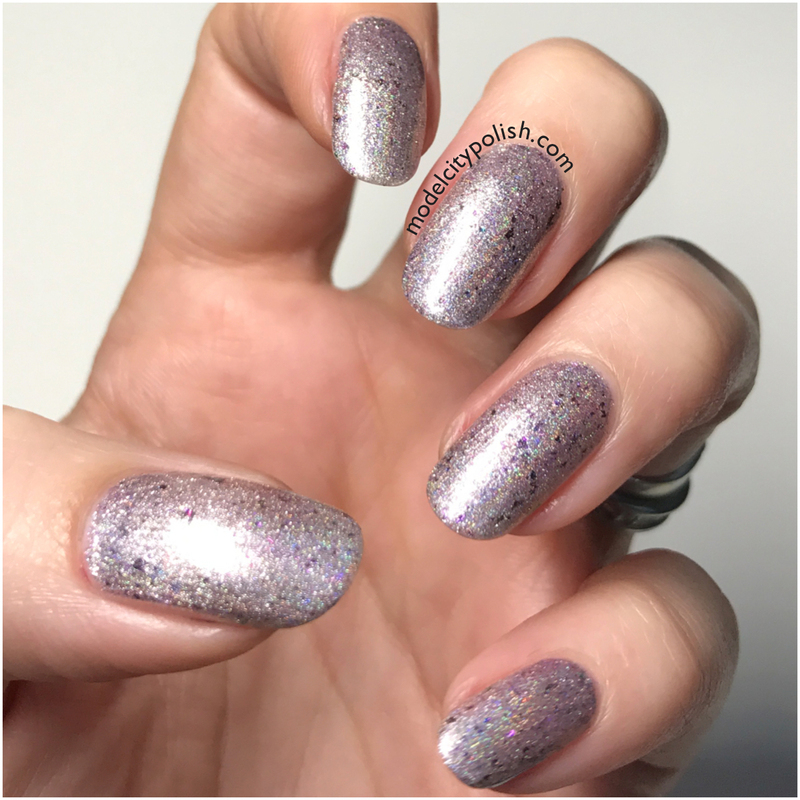 The addition of the flakies is fab! I loved this one on the nail so much! Gorgeous color! 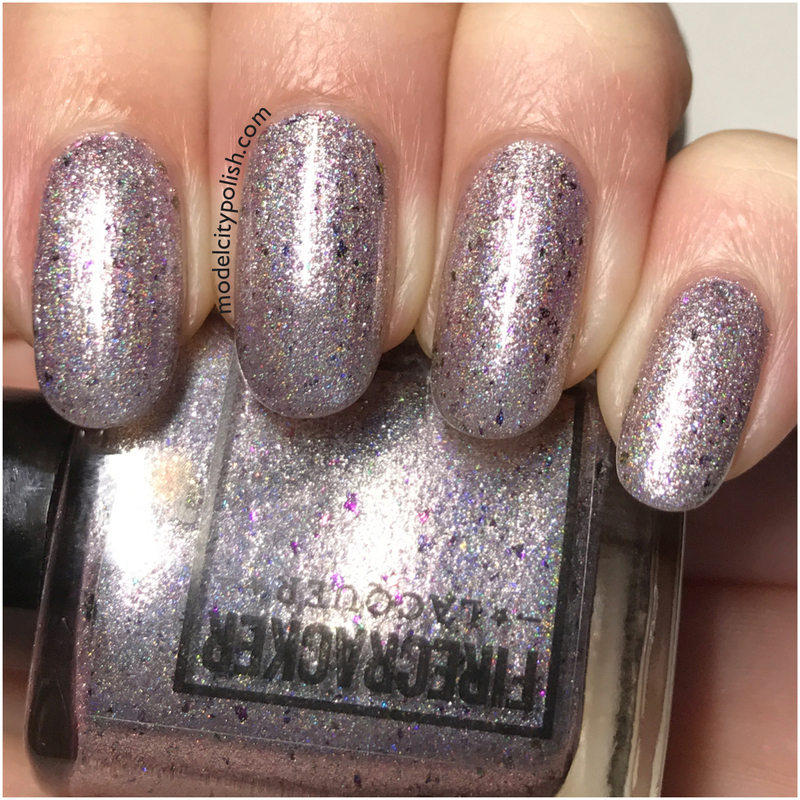 The flakies really pop in this polish! god, she does those glitter+holo+flakes so well. OMG, this polish. It has everything! The flakes in this just add so much interest! That is pretty. Delicate yet sparkly. A lovely combination. This is definitely gorgeous and eye catching. The flakies add something extra to it that makes it really pop. Gorgeous swatch and polish. I hope to try this brand in 2017. This color is so beautiful and unique!